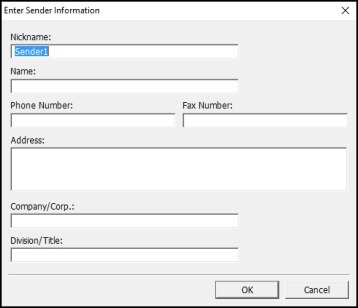 How do I send a fax using the Fax Utility in Windows? 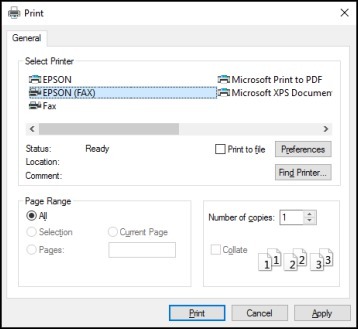 You can send a fax from a printing program in Windows. You can fax up to 100 pages at a time, including a cover sheet. Select your product with the FAX option as the printer. To change the Paper Size, Orientation, Color, Image Quality, or Character Density settings, click the Preferences or Properties button. Note: If you see a Setup, Printer, or Options button, click it. Then click Preferences or Properties on the next screen. For more information about selecting fax print settings, click Help. 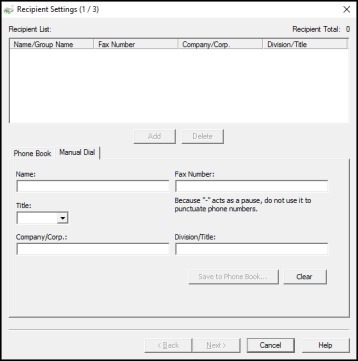 Enter the recipient's name and fax number or select a recipient from the phonebook, then click Next. Note: For detailed instructions on using the Epson FAX Utility, click Help. Select a cover sheet and enter a subject and message, then click Next. Click Send to transmit your fax.